Finally, a young woman is given a voice! No, not Palin but Tinker Bell who never spoke in Disney's 1953 classic "Peter Pan" yet is about to say a word or two or three. 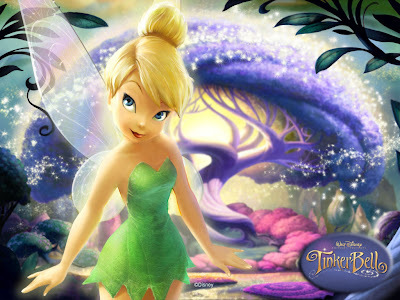 Disney hopes some pixie dust and the recasting of a classic favorite will lead to a soaring profit.